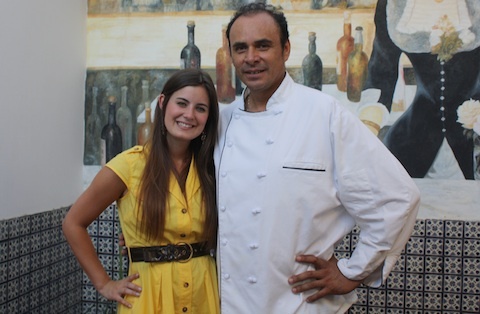 Pablo Velez, the owner of the El Matador Restaurant, had one uncle who was a cook and one uncle who was a bullfighter. He turned out to be both. 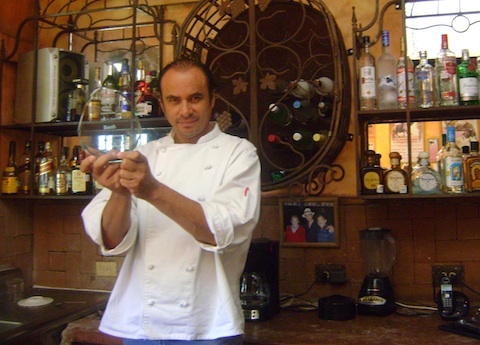 Pablo shares a little about his love of bullfighting and his restaurant El Matador. And he even took the time to teach me how to bullfight (see the video at the bottom). How long has El Matador been open? We are in our 7th year. It has been a beautiful experience. What do you like about bullfighting? Bullfights are very special thing. It shows the evolution of the human being. The bull and the man are intertwined. It’s a mystic thing. It comes from the heart. Bull fights are the celebration of surviving. You have your “suit of lights” in the restaurant. What’s the significance? [Putting on] the suit of lights is like a ceremony. Like when a lady is going to get married, she takes one hour to put on her dress. Bullfighters take like one and half hours to get dressed for the ceremony. It’s a ceremony with mysticism. We don’t permit ladies because it’s bad luck. We burn Rosemary. A Flamenco guitar plays and we are wearing a suit of a prince. We are about to face a 1,000 pound bull that can kill us at any time. 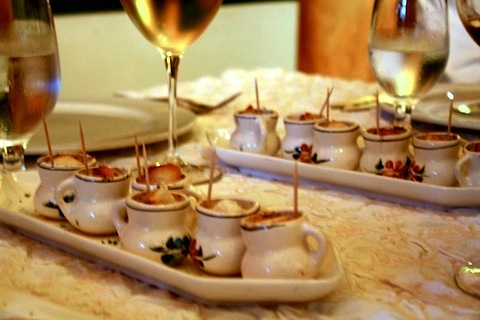 Do you think bullfighting and cooking are alike in any way? 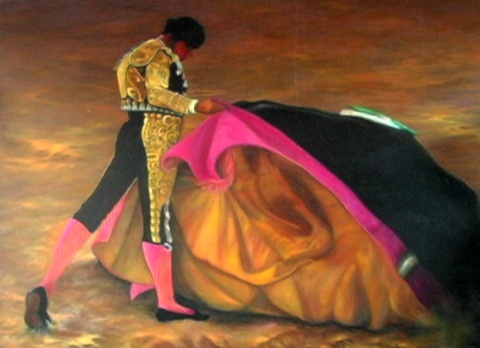 [Bullfighting] is a man trying to make art. A dance. […] Bull fights are an art that you see in a moment and will be in your memory forever. Like cooking. You need a passion for both. You have to feel it – inside to outside. What is the cooking style of El Matador? In El Matador, we combine Mediterranean cuisine with Mexican chiles – It’s the fusion of fine classical cuisine, a little bit of novel cuisine, and a little bit of contemporary cuisine with Mexican spices. I personalize the recipes. You have a lot of art in the restaurant. Can you tell me about the painting in the courtyard? It is a painting from my last professional fight two years ago – it’s a Veronica. I think it has a good movement. 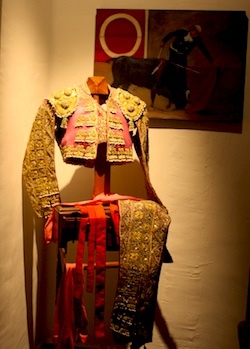 The paintings are very important in El Matador Restaurant because they show the art of bull fighting. Have you won any awards recently? I won the Best in Show Award in the Dog Day Afternoon, a Humane Society event. It was between over 20 restaurants.of Los Cabos. Have you tried El Matador? Tell us about it!